How much human behavior can be quantitatively attributed to instinct is largely arguable and untested, especially since we are usually inclined to believe we are rationally able to rise above any such deeper-than-cognitive triggers as consciously thinking animals. Cortex functions and human brain wave studies certainly suggest we are consciously able to ponder our actions and reactions before committing to them, but there are also other possible domains of human behavior that may be so ingrained and so ancient that “prehistoric” is an inadequate term when such behavior is shared with other mammals. 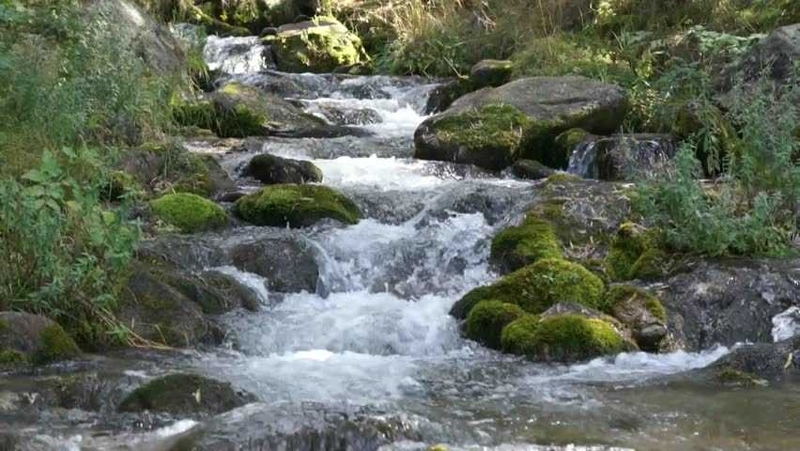 Psychology and neuroscience have yet to confirm few of our long-standing responses to our environment, but one such shared behavior with mammals also offers positive emotional reinforcement and well-being: why do we love the sound of running water? Why is it relaxing and deeply satisfying? This is a strong preference for moving water over still water. Humans may have conscious aesthetic reasons for placing fountains in gardens and even in houses, but animals given a choice, will also often go for running water over still water. 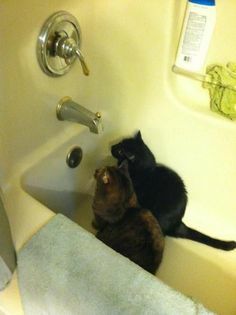 Our human pets like dogs and cats easily demonstrate this (our own clearly intelligent cat sits in the bathtub several times a day waiting for us to lightly turn on the bath spigot so he can drink from moving water). There are many photos of cats doing this. Mammals have learned by long experience that dead or still water can be deadly, eons before we humans understood bacteria and toxins that concentrate when water is unable to be filtered by movement. While as yet possibly scientifically untestable, this may be instinctive mammalian behavior reinforced over millions of years and therefore now subconscious. Even the Greek myth of Narcissus may indirectly and subtly reinforce this idea of deadly still water. 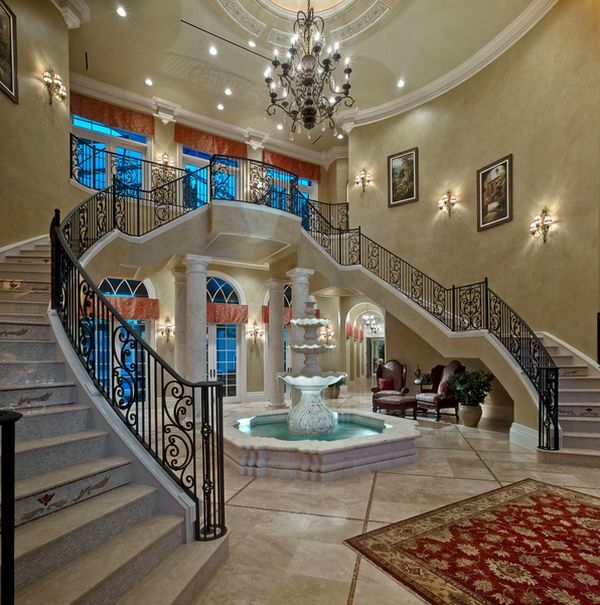 Some humans even put fountains (at times ostentatious) inside homes for such instinctive reasons. When eminent prehistorian Jean Clottes – former General Inspector for Archaeology and Scientific Advisor for Prehistoric Rock Art at the French Ministry of Culture – was at Stanford a few years ago as a Distinguished Archaeology Lecturer, I was one of his campus hosts and took him wine tasting in the Santa Cruz Mountains (I know, coals to Newcastle, but he was receptive to California wine tasting). There with wine glass in hand as we walked through vine parcels among redwoods, I tried out this idea of an instinctive preference for running water on him and he certainly agreed with its seeming logic. 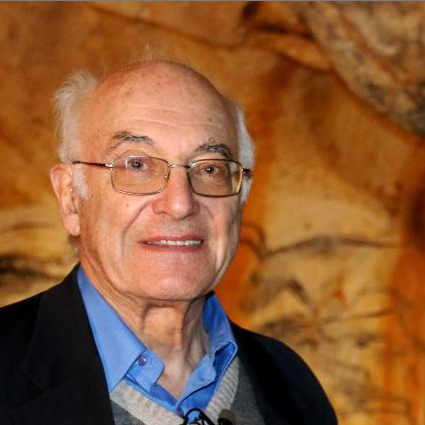 Clottes, an exponent of plausible psychological and social context in prehistory, also authored and had oversight for the magisterial Chauvet Cave art volume of the cave paintings and his own Chauvet project photos are peerless. His own professional contributions to making Chauvet’s wonders better known are enormous. During Clottes’ Stanford lecture on the Chauvet Cave, I had another question and in the following Q&A felt brave enough to ask this publicly: Why do so many cave paintings like the above Chauvet bison lead image have extra multiple legs, more than endowed by nature? Is it possible that it was because, unlike us who see these photos or even the real thing in immobile incandescent light, the artist and prehistoric viewers saw them in flickering torchlight, which would make them appear to be moving? In this case, more than natural multiple legs would be an artistic asset because it would add to the illusion of kinesis. This possible effect is lost on us until we view these cave paintings in our imagination or in real life the way prehistoric humans would have viewed them, almost running across the walls of the caves and even possibly a numinous experience. For us seeing such images anew in flickering light – becoming an almost modern cinematic moment by analogy – we can understand how it could have been interpreted as magic to people so preoccupied with hunting animals whose lives were “given up” or taken to provide life for humans. Eric Pianka. “Can Human Instinct be Controlled?” University of Texas, 2012 (http://www.zo.utexas.edu/courses/thoc/HumanInstincts.html). Alondra Oubre. Instinct and Revelation: Reflections on the Origins of Numinous Perception. London: Routledge, 2013. Nigel Nicholson. “How Hardwired Is Human Behavior?” Harvard Business Review Jul-Aug 1998. Jean Clottes, Director. 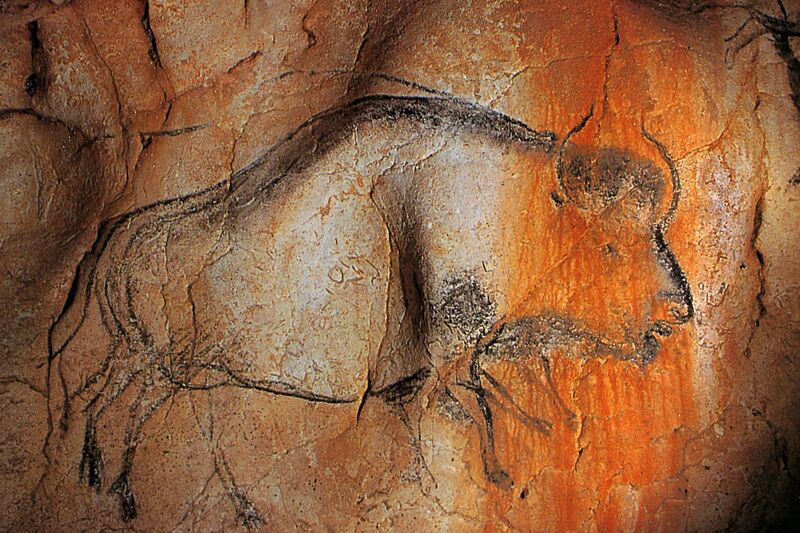 Chauvet Cave: The Art of Earliest Times. Salt Lake City: University of Utah Press, 2003. Denis Dutton. The Art Instinct: Beauty, Pleasure and Human Evolution. London: Bloomsbury Press, 2010, 3, 150-1.